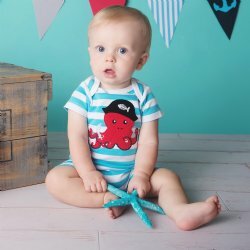 Ahoy there matey! 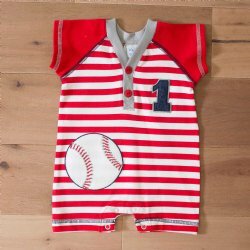 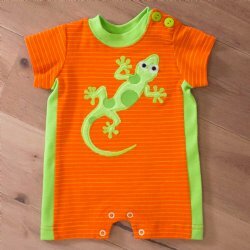 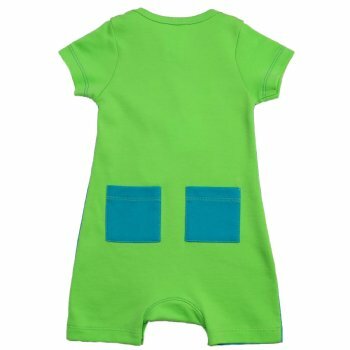 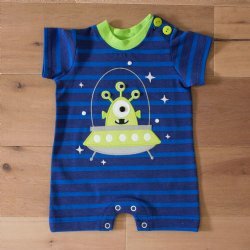 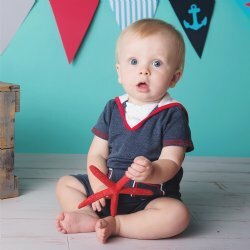 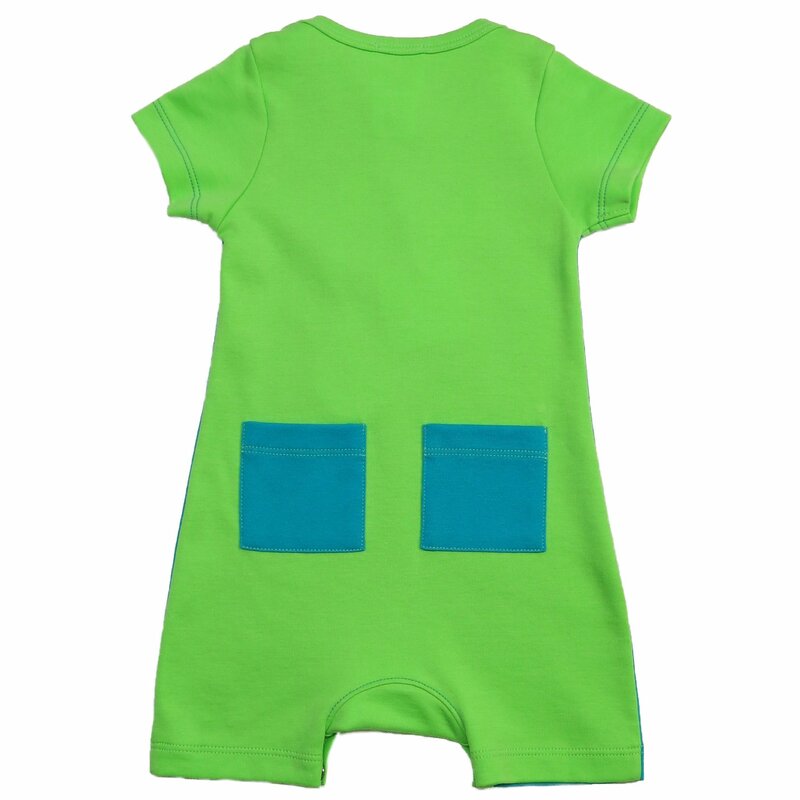 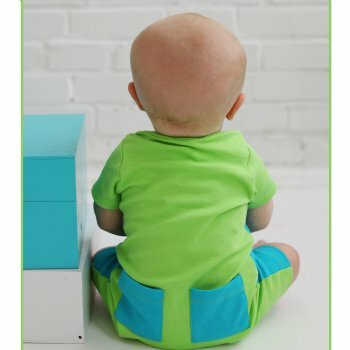 What an adorable little romper for your baby boy! 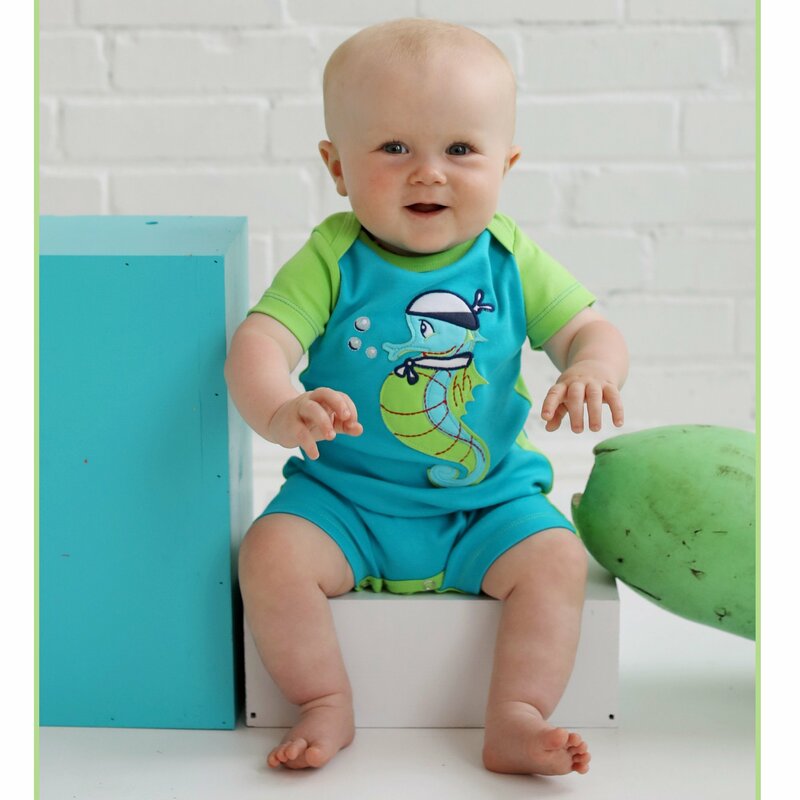 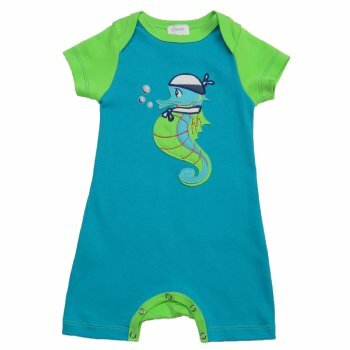 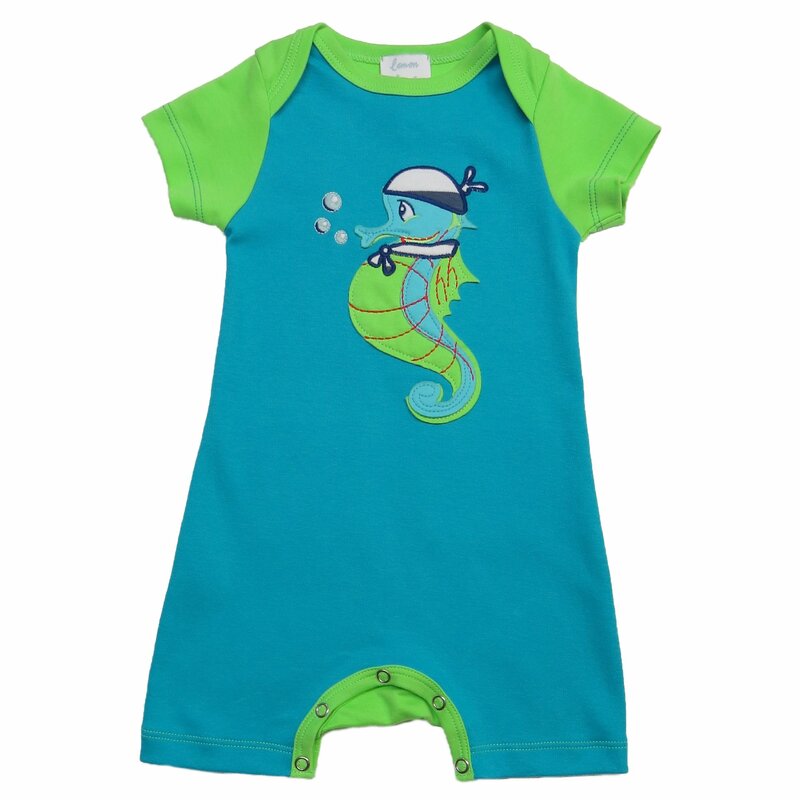 Fun and whimsical colors of turquoise and lime green are the background for the cutest seahorse appliqué.